We want to start a new thing on our blog… We believe that this is a very good platform for communication, and to let our friends know much they mean to us. Some of our friends are more active than others, but just knowing they are there is such an encouragement to us. So, we would like to recognise those who have celebrated their birthdays this month. Our featured celebrant this month is Yemi Adedeji!! She is a young lady, who has recently returned to Nigeria from the United States, and has a heart to give back. From the moment she was introduced to Fair Life Africa Foundation by a mutual friend (Segun Akin-Olugbade), she has made the Home her second home… She visits regularly to play with and mentor the boys, she organised a team to fix our garden, and took part in our recent trip to the Beach too! She even accompanied the team on its follow up visit to see one of the boys we’d reconciled at Home, and spent time to give him special encouragement. She’s also been generous with her finances, and brought provisions for the Home too. Even though she was ill on her birthday (11th of October), the moment she was strong, she came with cake and treats to share at the Home, to mark her birthday with the boys… We cannot say thank you enough. She’s such a wonderful person, and deserves to be celebrated. Happy Birthday Month Yemi!!! Other celebrants this month are Tom Imokhai (a benefactor for Fair Life Africa), whose company, Standard Alliance Insurance Plc, is also a regular sponsor of the initiative. 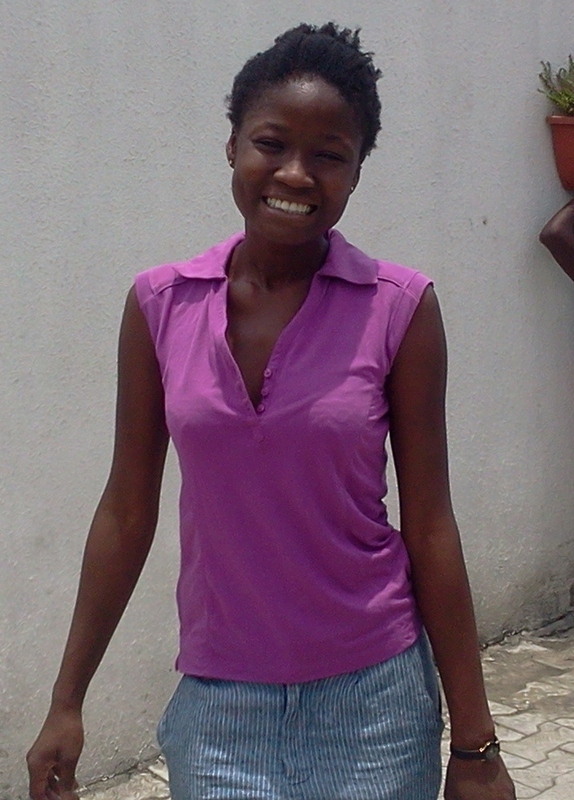 Ayo Akintimehin, our long time volunteer, now Support Worker at Fair Life Africa Foundation and a great team mate. Keni Abumere, a volunteer, donor and regular contributor. Her organisation, MnK Ambrosia Bakery sponsors our MBPs with cakes. Jide Olaniyan, a volunteer and contributor. Uzo Onumonu, a volunteer and regular donor. Dare Aliu, a volunteer and champion for the cause. Oladele Dada, an inspirational speaker and coach for the boys. Ganiyu Shittu, a mentor and volunteer trainer for the boys. Jo Blackham, an online donor and friend. Wande Onasanya, a donor and friend. Kay Agbeyebe, a faithful suppporter of our work at Kuramo Beach. Sheyore Majoroh, a friend to the organisation. Happy Birthday to you all! May you be mightily blessed, and multiply in the riches you have invested in us! It is hard to share in the celebrations when we don’t know all our friends’ birthdays. But thank God for Facebook which lets us know when a friend is celebrating. We invite every reader and supporter to get on to Facebook and add Fairlifeafrica Ngo as their friend. Please also like our Facebook Fan Page. Now, if you’ve noted your birthday, we will know to send you a greeting. To all our Facebook celebrants – Soji Odusanya, Jide Braimo, Dan Seun, Shewa Adekunle, Yomi Davids, Wale Olusola, Nnenna Onosode, Ugo Nwagwu, Gogo Majin and Tobosun Onolaja – we say a huge Happy Birthday and Thank You for believing in our vision! We hope that this new year will be exceptional and highly rewarding for you. God bless you all! We also recognise that Nigeria celebrated it’s 52nd anniversary on the 1st of October, 2012. Fair Life Africa Foundation wishes every proud Nigerian a better year to come! The nation will certainly live up to its potential and rise above its challenges. It needs more people committed to be the difference, and we can already see the movement rising. Join the move for change! We also encourage celebrants in the month to make a date with us at the end of each month, to party with the kids at the Home! It is only once a month, but it exciting for them, and gives them an opportunity to also celebrate their birthdays with each other and supporters too. The next monthly birthday party is tomorrow, Saturday 27th October, at 1pm. Please stop by at 2 Gbara close, off Maiyegun Beach Rd, Jakande, Lekki, to be a part of it! Bring your hearts full of joy, and helping hands too.